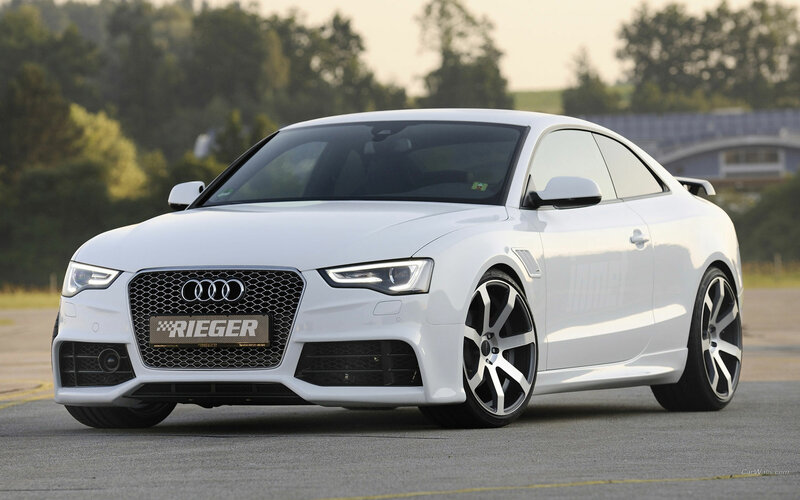 The Audi A5 is a two-door coupé version of the A4 saloon and a rival to the BMW 4-series and Mercedes C-class Coupé. 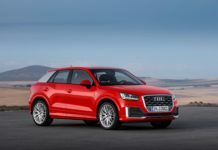 The current model might look a lot like its predecessors, but actually, this is an all-new car and is available with a range of petrol and diesel engines, and manual or automatic gearboxes. Depending on the engine, buyers can opt for the front-wheel drive or Quattro all-wheel drive, while at the top of the range sits a high-performance S5 model. The A5’s boot has a wide opening that will allow it to swallow a couple of large cases or golf bags, with an overall load volume that is greater than the equivalent BMW or Mercedes. If you need more space the rear seats fold in a 40/20/40 split to give an almost flat load bay. Rear seat headroom is fine for taller adults as long as they don’t lean back too far, but legroom is tighter than in a BMW 4-series, and as with rivals there are only two seatbelts, making this a strict four-seater. Up front, it feels spacious and airy on account of Audi slimming down some of the metalwork between the windows, but in-car storage is only adequate. There are some neat touches in the A5, such as the way the seat belt glides out to meet you when you switch the car on, and the driving position is fundamentally good, with plenty of adjustment. However, Audi has deliberately made the A5 firmer than the equivalent A4 saloon to give it a sportier feel, which makes the ride feel unyielding, even in Sport specification with 18-inch wheels; upgrade to S-line or rims that are any bigger and it becomes far too jarring, although the optional adaptive suspension calms things down – at a price. The diesel and petrol engines are pleasantly refined, with the former making a quieter companion for motorway work (where there is also very little wind noise), and the latter being smoother in towns and cities. Road noise is also well suppressed, assuming you avoid the larger wheel and tyre options. As it is based on the A4, it is no surprise that the A5 performs well when it comes to interior design. The controls are responsive and sensibly placed, the infotainment system is quick to respond and slick to operate and the optional Virtual Cockpit digital dial display is both hi-tech and great to use (if a very expensive addition). The build quality feels exceptional, giving the A5 a real sense of class that not even Mercedes can match. If you like gadgets, you’ll love the A5’s interior. You’d expect visibility from a sleek coupe such as the A5 to be compromised, and you’d be right; there are large over-the-shoulder blind spots that mean you rely on the standard fit parking sensors. The fact the wing mirrors are mounted quite low on the doors helps improve the view out at junctions, however, and the controls are sensibly weighted, whether you go for a manual or the very slick automatic model. All engines have not only sufficient power for overtaking but offer a genuinely impressive turn of speed. Audi might have tried to make the A5 more exciting to drive than the A4, but in reality, it’s still not what you’d call a thrilling car. The main drawback is that the steering, which while decently weighted, lacks any kind of wheel for what the tyres are doing. The handling also misses out on the adjustability that makes a BMW 4-series so entertaining, even if it does feel very stable – and that’s whether you opt for front- or all-wheel drive. The V6 diesel models have an impressive turn of pace and make a decent noise, while the S5 turbocharged petrol version is seriously quick if still falling short for driver involvement. 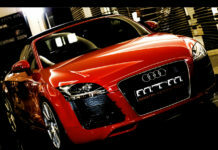 Audi doesn’t have the best record for reliability. Being lighter than its predecessor, and with more efficient engines, it is no surprise that the A5 also performed better in official fuel tests, with the 2.0 TDI Ultra model returning 70mpg. 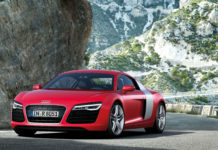 That’s more than any of its rivals from BMW or Mercedes, a trend that is reflected across the diesel engine range. The petrol models are eclipsed by BMW for the economy, but not by much, and the coasting function on automatic models (it’ll either do it automatically or you can hold down the right gear-shift paddle to make the car freewheel) will help drivers to eke out every possible mile from a tank of fuel. If you do a lot of urban miles and want a hybrid coupe of this type you’ll need to opt for the Lexus RC instead. All models come with six airbags and a system which will detect impending accidents at up to 53mph and apply the brakes. You can also pay extra to extend this system to even higher speeds, in addition to features such as blind spot monitors and Traffic Jam Assist, which allows the car to steer itself at low speeds in heavy traffic.